8 days from £3370pp plus international flights. 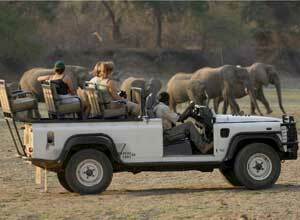 Wildlife viewing in the superb South Luangwa National Park. 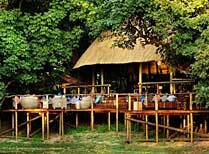 The Bushcamp company was set up in South Luangwa National Park in 1999. 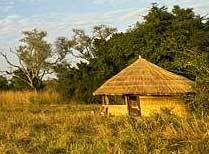 They have 6 bushcamps in the south of the park, as well as Mfuwe Lodge in the central area. Mfuwe Lodge is known for a small family of elephants who love to come walking through reception at certain times of the year to get to a particularly tasty wild mango tree! 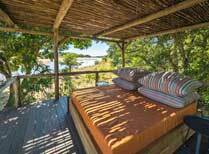 The guiding and accommodation you'll get staying at these camps and lodge is just excellent. 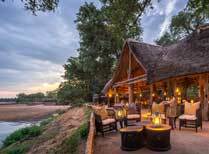 South Luangwa is a special place and a superb wildlife watching spot no matter where you stay, but Bushcamp Company is one of the companies we love recommending. The camps are open all year except February and March, making some of these 6 bushcamps the only ones open in the green season months of December and January. 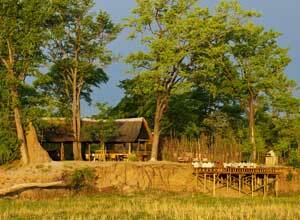 This is an excellent emerald season safari (ie in the rainy season) which is available at a time when no other bushcamps in South Luangwa are open. You really do have the place to yourself when you're at Zungalila and Kapamba (open April-January) and Bilimungwe to Chindeni (open May to December). As the name suggests, green season is a time of lush growth due to the rains which mostly come between about November and March. It is also the time for newborns, and many migratory birds are in the park at this time. It is a beautiful time to travel here, and whilst it doesn't tend to rain constantly, you need to be prepared for the wet weather. Most often the rain comes in huge downpours, often at night or in the afternoon. The rest of the time, the weather is pleasant and hot. 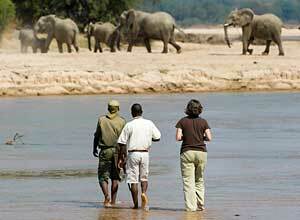 A trip to South Luangwa in the green season is also very good value as this is low season in terms of prices. So come and enjoy the wildlife, wilderness, rivers and rainbows of Zambia. In June and October you can still get good value at these camps. Whilst it's not peak season, the wildlife in this months is still very good indeed, so grab yourself a bargain with any of the 6 bushcamps being open at this time. Be aware though, that October is extremely hot, and the wildlife is usually struggling for water by this time which can be hard to watch at times. 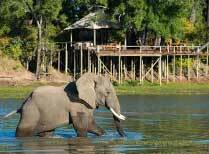 July to September is probably the very best time to come to South Luangwa if you want the strongest chances to see wildlife. From Lusaka you fly north to Mfuwe Airport where a guide from the Bushcamp Company will meet you and drive you to Mfuwe Lodge for your first night in South Luangwa National Park. In the afternoon there will be a game drive. The following itinerary is just one suggestion, but you could choose different camps, depending on the time of year you travel. Lunch, dinner. 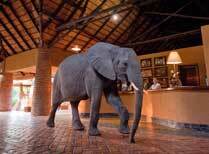 A day based at Mfuwe Lodge to enjoy wildlife game drives in the central area of South Luangwa. The wildlife in the park is excellent, and whilst it will possibly not be quite so easy to find as in the dry season, there is certainly plenty to be seen. Full board. 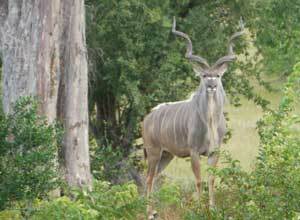 Another day to enjoy wildlife viewing in the central area of South Luangwa. 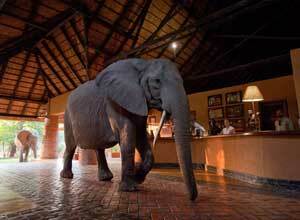 In certain seasons you might even see elephants walking through reception here at Mfuwe! Full board. Today we transfer you to the south of the park to the first of your two bushcamps. Here is where things get remote! Zungalila overlooks the Kapamba River and offers walking safaris and day and night game drives. Full board. Another day based at the lovely Zungalila tented camp where walking is the main activity, but drives are available too. 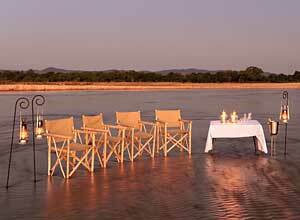 End the day with a sundowner by the river or sitting around the campfire. Full board. Today we move you on to Kapamba. 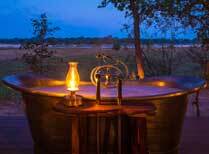 This is quite luxurious for a bushcamp, and the thatched chalets even have their own plunge pools! But it is the wildlife and wilderness you've mainly come for, and knowledgeable guides will take you out each day to explore the area. Full board. 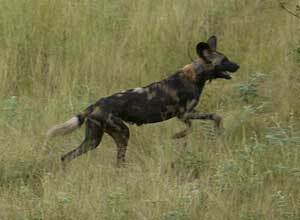 Another day of wildlife viewing based at Kapamba. Full board. Today we will take you back to Mfuwe Airport in time for your flight back to Lusaka and your onward arrangements. Breakfast. Full board accommodation based on twin share; airport transfers at Mfuwe; flights Lusaka-Mfuwe-Lusaka; wildlife activities; park fees; local drinks at bushcamps only; laundry. International flights and taxes; domestic flight taxes; visa; tips; personal expenses. You need to fly into and out of Lusaka for this trip. Flights will cost from about £900 pp. Departure dates: This is a private tailor made trip which can be taken subject to availability at any time of year that the camps are open. Please ask for further details of when you'd like to travel.